Ala Archa National Park, Kyrgyzstan. CEPF will only accept proposals from the 13 groups listed below. CEPF held an open call for expressions of interest from 27 February to 27 March 2019. The organizations listed below submitted an expression of interest by the closing date and are thus eligible to bid in a lead role for the RIT. There is no obligation for these organizations to submit a bid. These organizations are free to form partnerships with other organizations, regardless of whether those other organizations submitted an expression of interest. However, CEPF will only accept bids from the organizations below acting in a lead role. Organizations that did not submit an expression of interest wishing to be part of a consortium should approach any of the 13 groups listed below. 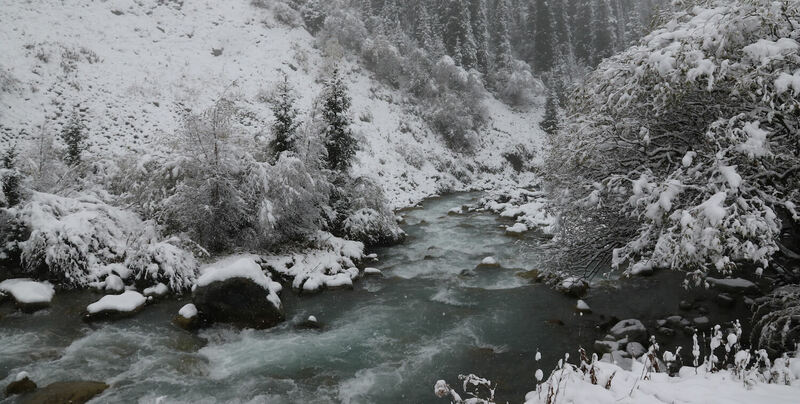 CEPF will hold a Mountains of Central Asia RIT Bidders Conference webinar on Tuesday, 16 April 2019, from 8 a.m. to 9:30 a.m. (ET). CEPF representatives will briefly describe the expectations for the RIT and respond to oral or previously submitted written questions. All parties that have submitted expressions of interest (in the table above) will receive detailed instructions on how to access this call. An electronic recording of the call may be subsequently made available via the CEPF website. To join the webinar, visit this link at 8 a.m. (ET) on 16 April. The presentation slides can be found here (PDF - 642 KB). CEPF hosted an informational web-based conference during the expressions of interest phase on 12 March 2019. A recording is available here (MP4 - 53 MB). Note that there was a technical issue at the beginning, so visuals do not appear until 9:32. You can also download the presentation slides here (PDF - 842 KB). Below are the written responses to questions asked in conjunction with the webinar. Question 1: If individual proposed staff members of a RIT — Organization X — are also working for a different local organization [that is not part of the RIT] — Organization Y — is Organization Y also precluded from receiving “large” and “small” grants? Response: Organization Y would not automatically be ineligible to apply for grants. However, a conflict of interest would exist and this would require measures to mitigate. The particular measures required would depend upon the specific circumstances. We encourage interested groups to submit an expression of interest now; you are free to ask about specific permutations now and/or at the time of the proposal. We also advise that you disclose any potential conflict of interests at the time of the proposal. Question 2: Please comment on the requirements and standards for audits for RITs. Response: RITs are required to engage independent auditors approved by Conservation International to audit expenses incurred and activities carried out in the performance of this grant. Typically, the RIT will be requested to submit a project audit within 90 days following the end of the second and fourth year of the agreement term.